Three of the ‘big six’ have now announced increases to both electricity and gas for households across the UK. Suppliers are raising their prices as autumn is here – the same thing they seem to do every year. As usual, rising wholesale prices and government taxes are being blamed, as suppliers say they are just passing on the increases to consumers. Scottish and Southern were the first to announce this year. They are raising prices by 9% on both electricity and gas, coming into effect from today, Monday 15th October 2012. From November 16th, British Gas customers will have to pay 6% more for electricity and gas – taking the average bill up around £85 to £1,346. This will surely see millions more enter fuel poverty – when more than 10% of income is spent on heating the home. This hike though, should come as no surprise to those who follow the energy markets. British Gas announced record profits (again) recently, and hinted at price increases in the near future. 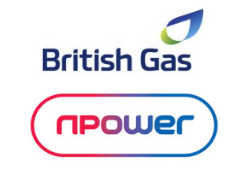 Npower announced an increase of 8.8% for gas and 9.1% for electricity, coming into effect from 26 November.